An Opinion On Sports: Jon Miller & Joe Morgan: You're Out! 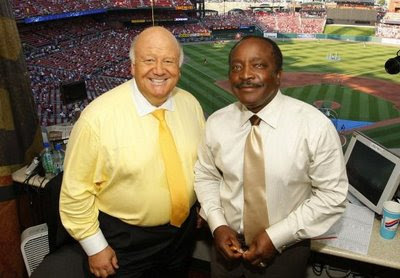 ESPN has announced that the long time telecast team of Jon Miller and Joe Morgan will no longer be the voices of Sunday Night Baseball. The pair had been doing SNB for 21 years. As far as I'm concerned, that was twenty years too long. A new crew, yet to be named, in the booth will be a welcomed change next spring and summer. Better late than never, I suppose, ESPN.